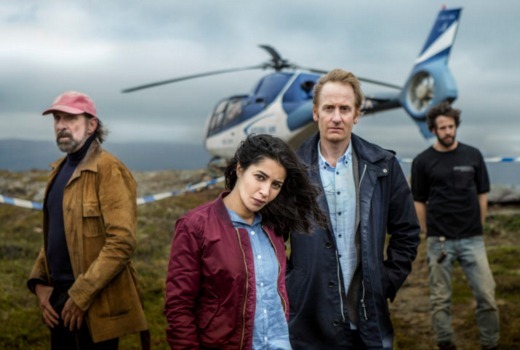 SBS picks up new Scandi-noir, Midnight Sun. SBS has picked up the Australian rights to Midnight Sun, a new Nordic noir thriller from the creators of The Bridge. The Swedish-French drama is a murder mystery set in the 24-hour sunlight of an Arctic summer. French actress Leila Bekhti plays a French detective sent to investigate the brutal murder of a French citizen in a remote mining community in the far north of Sweden. There she is paired with a local Swedish cop from the indigenous Sami community (Gustaf Hammarsten). The series is the latest from Mans Marlind and Bjorn Stein, based on an idea by Henrik Jansson-Schweizer and Patrick Nebout. It is produced by Atlantique Productions and Nice Drama has also been sold to Germany, Israel, Norway, Denmark, Iceland, Finland, Belgium, and the Benelux region. Midnight Sun won the audience award for best series at the SeriesMania festival in Paris. ‘Insomnia’ meets ‘Fortitude’ (in Summer)?